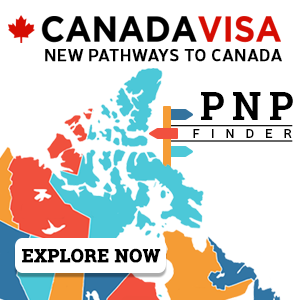 Many provinces have business immigration options that are part of their Provincial Nominee Programs (PNPs). In addition, Quebec and the Government of Canada operate popular business immigration programs. Provinces can nominate eligible business immigration candidates for permanent residence. If you are interested in business immigration options in one of the provinces listed below, or are considering applying to Quebec or through the federal government's Start-Up Visa Program, you can review and compare the eligibility requirements and application processes below in order to learn which is best suited to your circumstances. You can also start your free assessment today to determine your business immigration options based on your unique qualifications and interests. Quebec Immigrant Investor Program - A new application intake period began on September 10, 2018, and is scheduled to run until August 31, 2019. CAD $1,200,000 risk-free through an approved financial intermediary or by financing that investment. 2 years of business management experience in the past 5 years prior to the submission of an application in a specific enterprise (agricultural, commercial, or industrial, OR management experience in a governmental or international organization) and in a position defined as full-time. May be required as part of the application review. Quebec Entrepreneur Program — A new application intake period began on August 15, 2018, and is scheduled to run until March 31, 2019. CAD $900,000 of financial resources. Holds and controls, alone or with the accompanying spouse or common-law partner at minimum 25% of the equity of the enterprise he or she creates or at least 51% of the equity of the enterprise he or she acquires. CAD $300,000 for a business in the the metropolitan area of Montreal or CAD $200,000 for a business outside the metropolitan area of Montreal. Submit a contract to prove financial self-sufficiency and demonstrate a secondary school general diploma level of education. * This requirement apply only to Component Two of the Entrepreneur program. Quebec Self-Employed Worker Program — The Quebec government reached the intake quota allocated for this Quebec immigration category in December 2018. Register a start-up deposit of at least CAD $50,000 at a local financial institution if based in the metropolitan area of Montreal or at least CAD $25,000 if based outside of Montreal. Have the support of a designated organization that will provide the applicant with a Letter of Support. Start-up visa applicants must give proof that they sufficient funds to support themselves and their dependants after they arrive in Canada. The amount required depends on the size of the family. All self-employed persons must establish that they have sufficient funds to support themselves and their family members for at least one year after they arrive in Canada. Self-employed immigrants must obtain a minimum of 35 points out of 100 based on the five selection criteria and the program's unique point system. 3 + years of business ownership or management experience OR 4 + years of senior management experience OR 1+ year of business ownership & management experience and 2+ years of senior management experience within the last 10 years. CAD $250,000 for businesses in the Manitoba Capital Region. OR CAD $150,000 if a business is outside of the Manitoba Capital Region AND must be made in an eligible business AND must create or maintain at least one job for a Canadian citizen or a Permanent Resident in Manitoba (excluding owners of the business and/or their close relatives). Business ownership and management experience or executive-level experience in 3 of the past 5 years. AND Business owners are given higher points in comparison to senior managers. AND Business owners must have at least 33 1/3% ownership to qualify for points. Business research visit must be conducted no more than one year prior to the submission of an EOI. CAD $100,000 refundable deposit is not a requirement anymore. CAD $300,000 tangible assets to establish a farming business in rural Manitoba AND investments in a farm business operated primarily for the purposes of deriving passive investment income or speculative purposes are not eligible. Minimum of three years of farm business management or farm ownership and operation experience supported by verifiable documents. Farm Business Research Visit required. CAD $100,000 refundable deposit is no longer required. Business must generate significant benefits for the Northwest Territories, including jobs for local residents. CAD $7,500 of $10,000 application fee is refunded if application is declined or withdrawn. Letter of support from the province to apply for a work permit;Obtain nomination once all of the terms and conditions of Performance Agreement are met. Contact us today with any questions concerning business immigration to Canada. 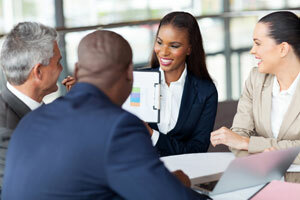 We will get back to you quickly to discuss your immigration, business and investment options. 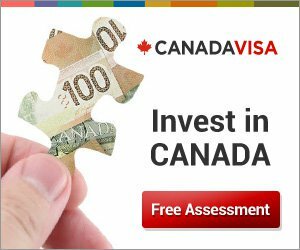 Discover your options for Canada business immigration by completing our free assessment form.